For many lifters technique breaks down due to a lack of strength in certain muscle groups, not because of a lack of understanding of what to do. Knowing what exercises will improve you is an important and individual thing. This is easily one of my favourite episodes ever. The depth and practicality of our conversation I hope will benefit you guys immensely. Josh and I always have fire chats, and this was the best one so far. 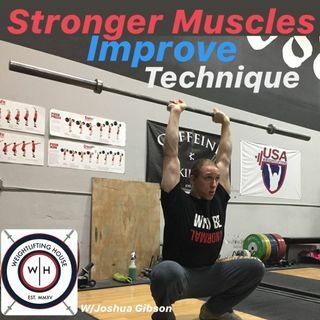 Make sure you follow Josh on IG @josh_pdp and check out his ... See More podcast 'The Philosophical Weightlifting Podcast' on Spreaker & iTunes.